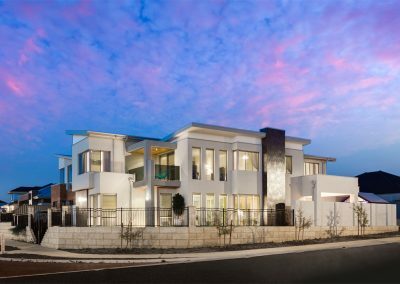 Built by Mondo Exclusive Homes, this stunning two-storey property is a testament to the company’s impeccable design concepts and premium building solutions. 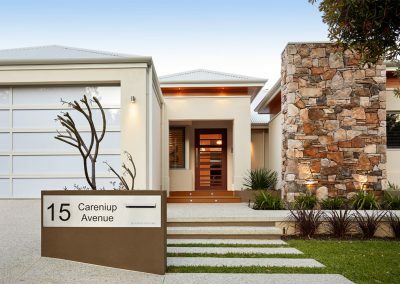 The façade showcases a mix of weatherboard, render and stonework to achieve a striking street presence. 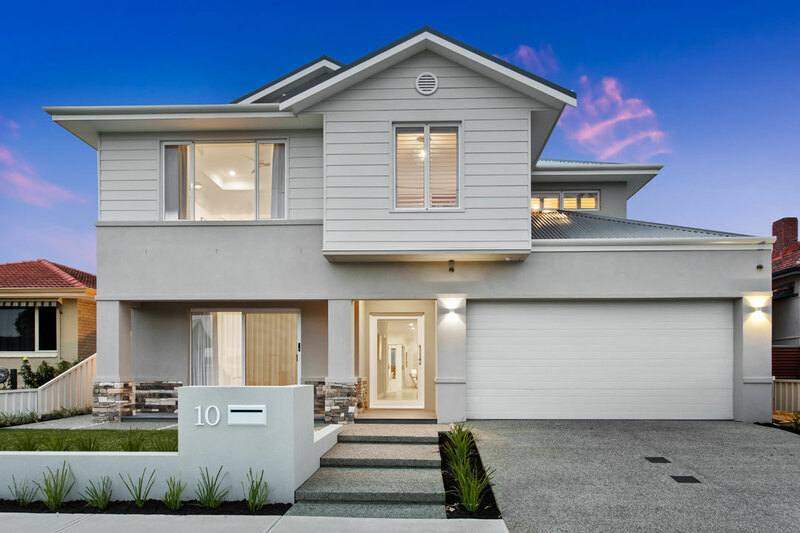 Complete with a generous-sized garage, large windows and neat landscaping, the Hamptons-inspired home is inviting and family-friendly both inside and out. 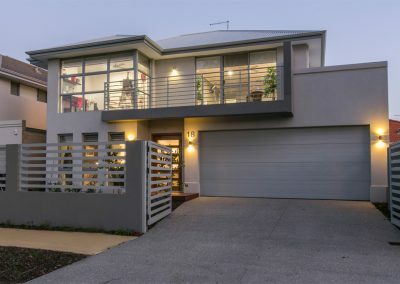 Utilising as much space as possible on the small lot, the home’s layout ensures every room leads seamlessly to the next. 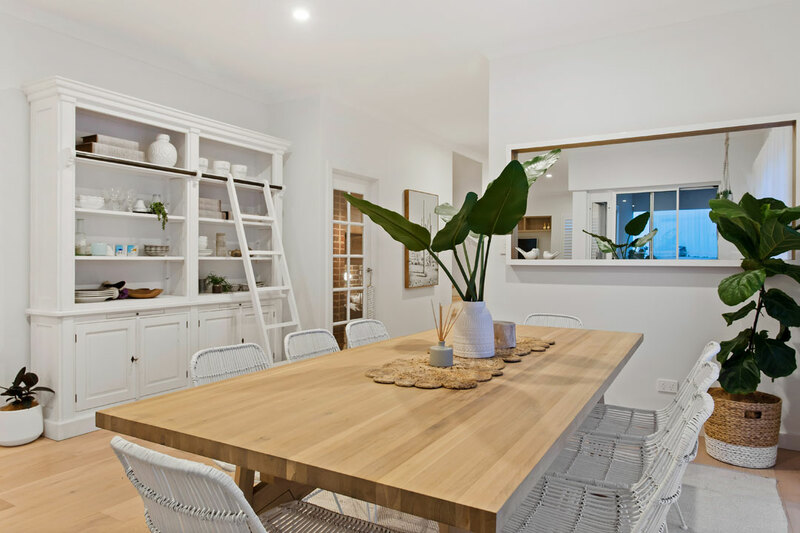 To accommodate the homeowners’ wishes, Mondo Exclusive Homes went above and beyond to deliver a beautiful combined kitchen, living and dining area. 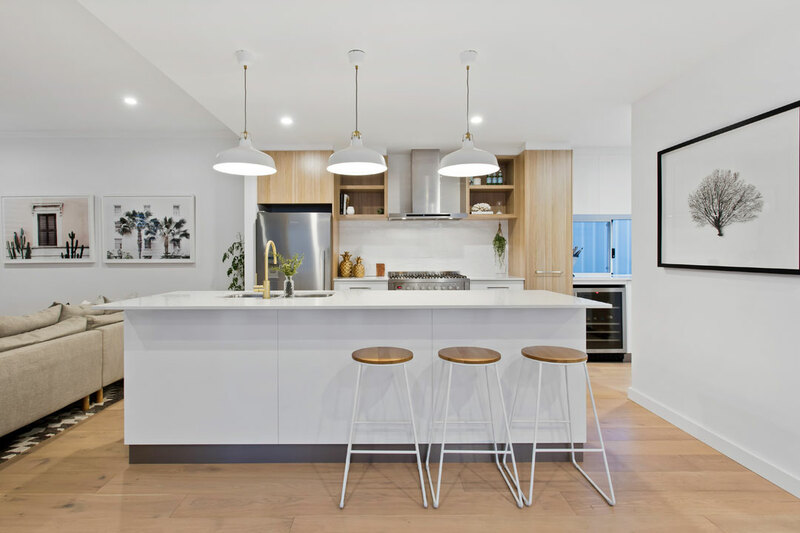 Showcasing Polytec cabinetry, sleek metallic appliances, gorgeous Caeserstone benchtops, and luxurious pendant lights, the ground-level kitchen is a contemporary hub. Its sophisticated aesthetic is continued throughout the dining zone, which also provides plenty of natural light through floor-to-ceiling windows. 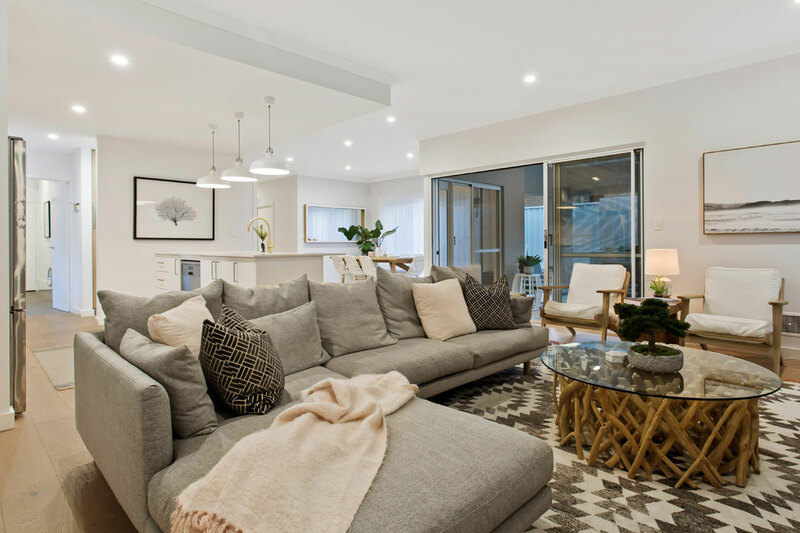 With a coastal vibe, muted colour palette and choice furniture, the living area provides ample room for the family to relax in style. 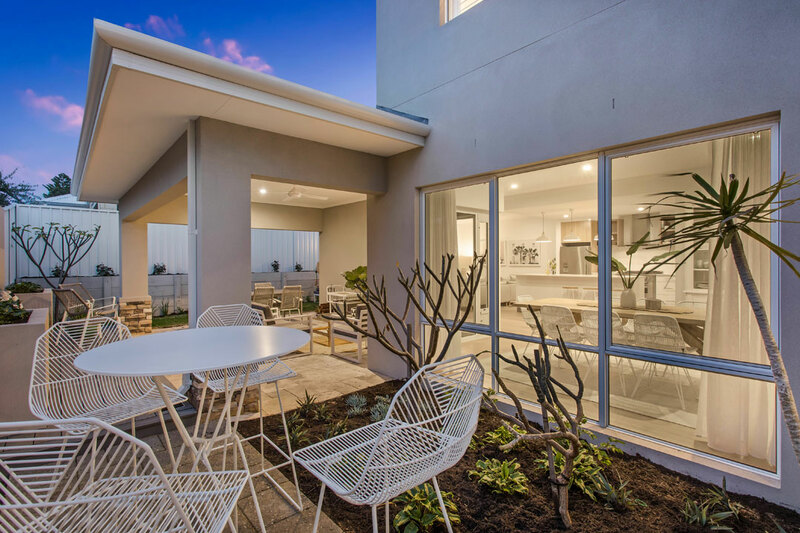 Glass sliding doors leading to the undercover alfresco zone create a continuous flow between the indoor and outdoor entertaining spaces. 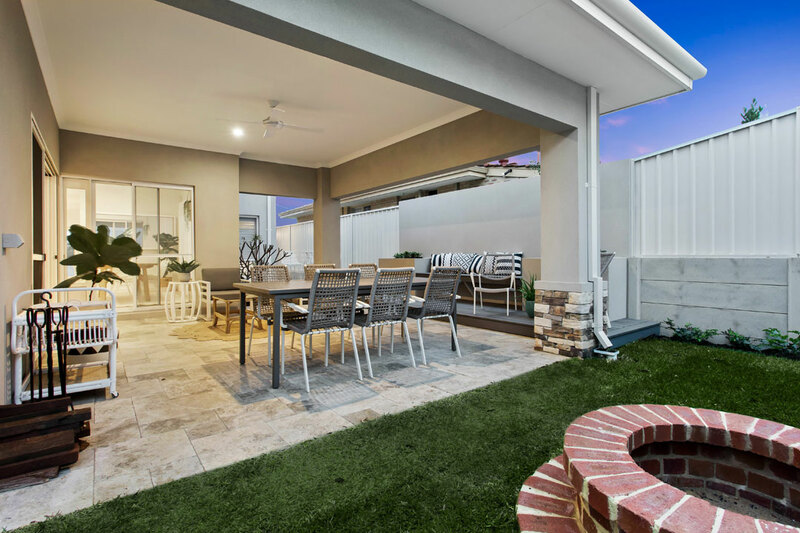 Offering multiple seating options, as well as a lawn area and bespoke design elements, the thoughtfully designed backyard is the ideal spot for the homeowners to spend warm afternoons with guests. 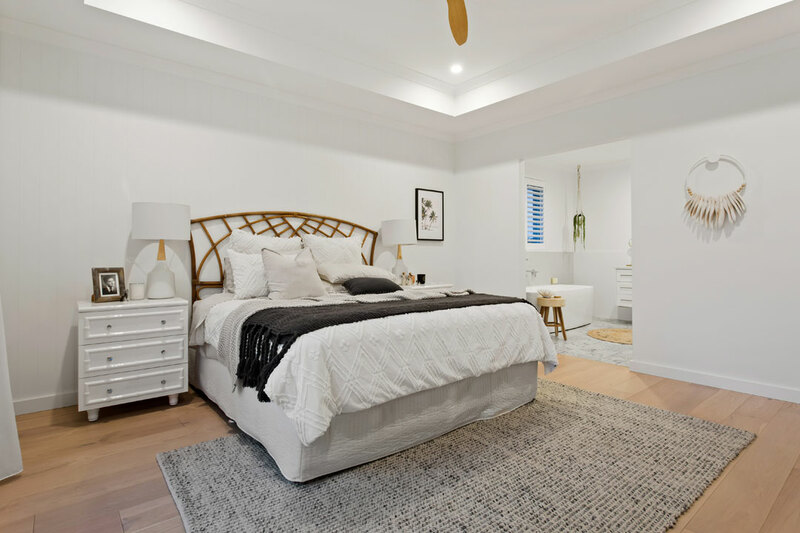 The main bedroom on the top level is an opulent parents’ retreat. With a bulkhead ceiling and large windows, the room feels spacious, fresh and airy. 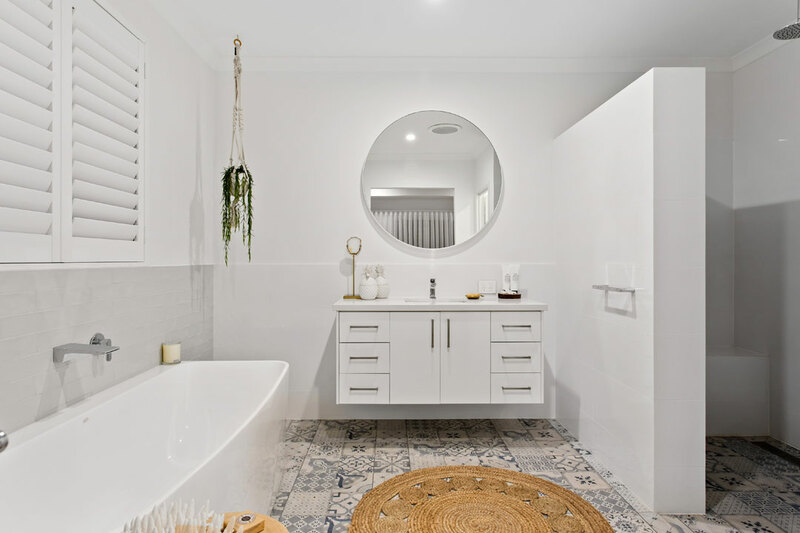 The en suite showcases statement floor tiles, a waterfall shower, bathtub, vanity unit and modern circular mirror. 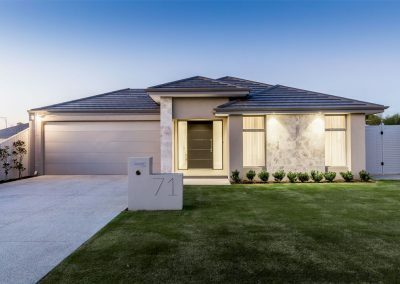 By including a private study, a statement rustic wine cellar, an additional living area and a separate guest bedroom with an adjoining en suite, as well as a shared powder room, Mondo Exclusive Homes ensured the house provides everyday convenience. 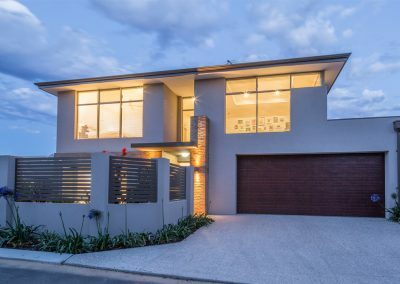 The home incorporates various environmentally friendly features, such as LED lighting, five-star plumbing fixtures and fittings, and a design that promotes cross-ventilation in replacement of air-conditioning. 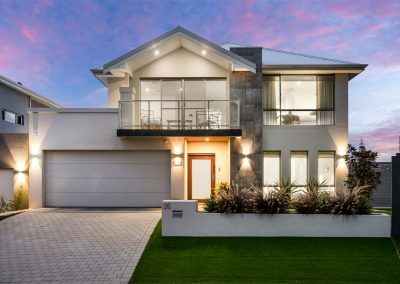 Mondo Exclusive Homes founded in 2009 by company director Ray Kershaw. 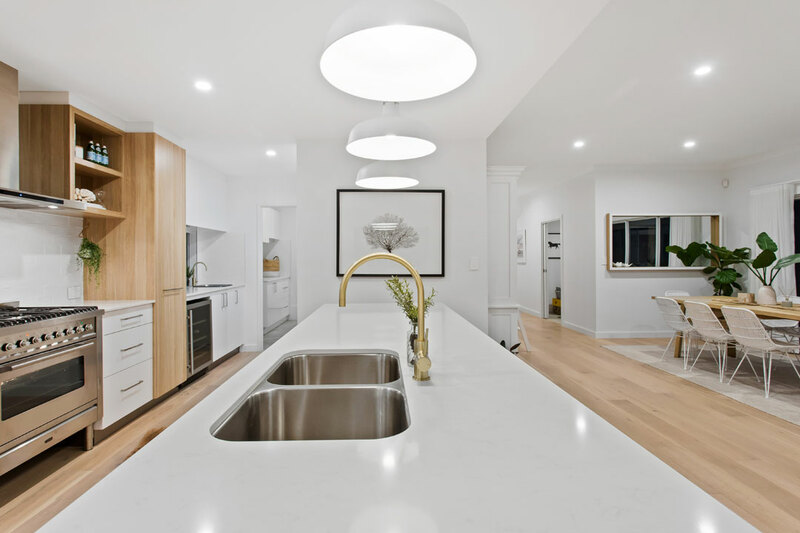 With a wealth of hands-on experience and the ability to deal with architects, engineers and contractors with ease, Kershaw personally schedules and supervises every build to ensure each project is completed on time and within budget. 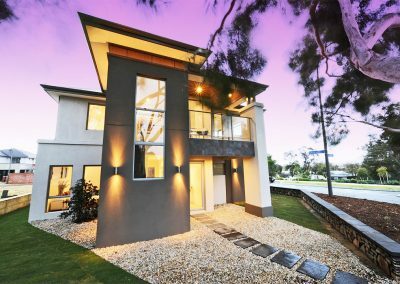 The diligent company prides itself on working with a highly experienced team of tradespeople to produce unique and luxurious abodes. 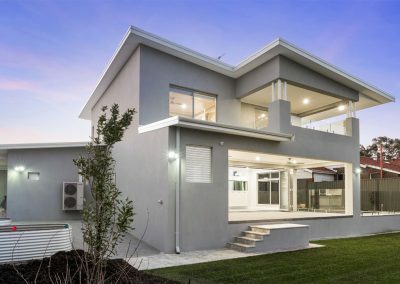 Specialising in custom-designed single- and double-storey homes, as well as large-scale renovations and extensions, it uses only the latest technology to offer value for money on every project. 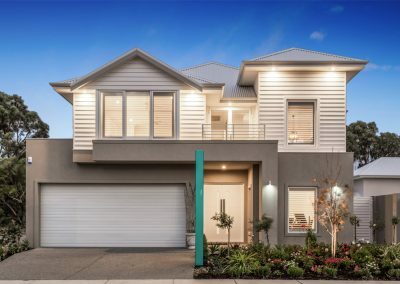 In 2018 Mondo Exclusive Homes won Best Contract Home $350,000–$400,000 and Small Builder of the Year at the Western Australian Master Builders-Bankwest Housing Excellence Awards. 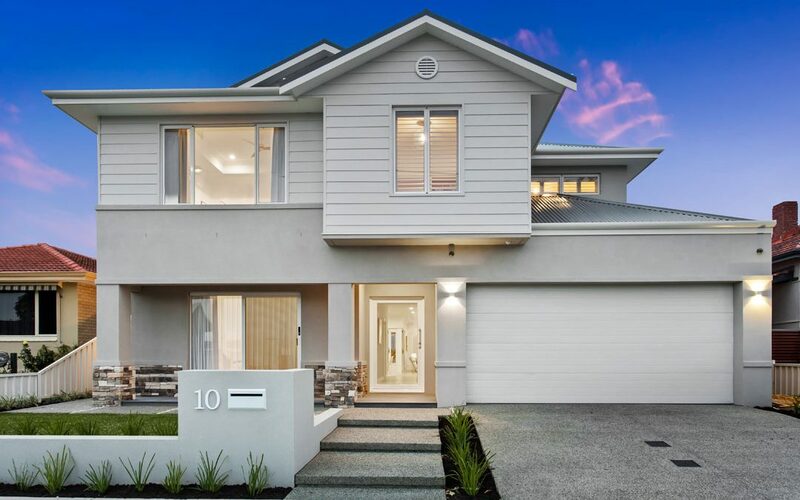 It was also a finalist in the Best Contract Home $400,000–$500,000 and Best Customer Service categories. 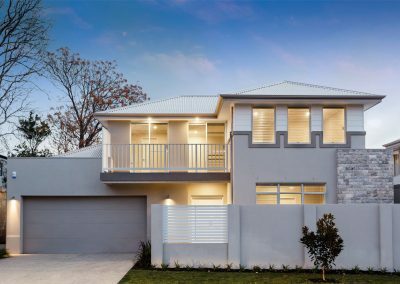 With Mondo Exclusive Homes, you can build with confidence.